Celebrate this Christmas with these soft cinnamon rolls packed with cinnamon filling and finished off with cream cheese glaze. 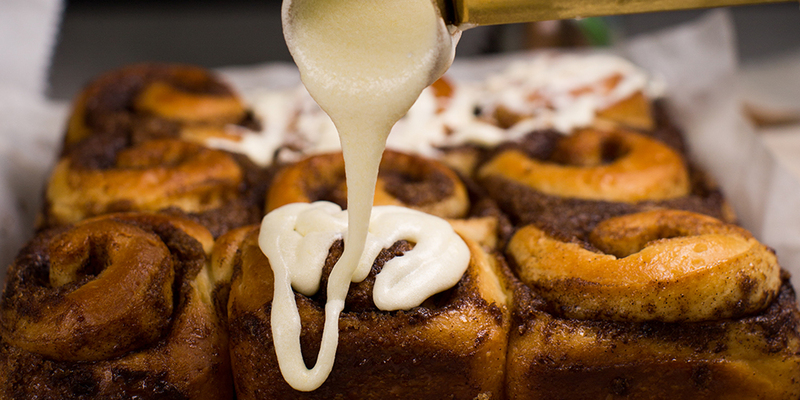 Paired off perfectly with a cup of hot chocolate, these homemade soft rolls will certainly be heart-warming. This machine-kneaded bread is definitely a keeper for all gatherings. *Each student goes home with 9 Rolls baked in a 8" Square tin.